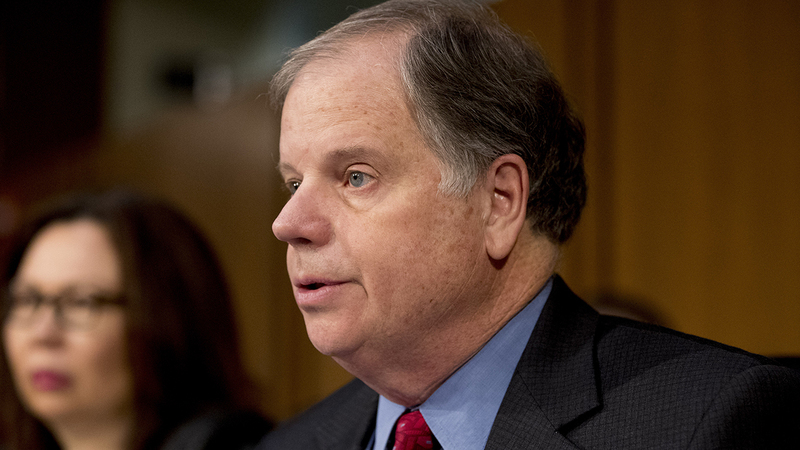 U.S. Sen. Doug Jones, D-Ala., defended Joe Biden from allegations of misconduct, saying it’s “not for others to judge” and agreed that the stories of inappropriate conduct “distract” Democrats from beating President Trump in the 2020 election. Jones, a vulnerable Democrat in a deep-red state, appeared on a Mother Jones podcast that was posted Wednesday, where he effectively endorsed Biden amid his expected candidacy announcement Thursday and offered a defense of the latest allegations of inappropriate behavior by Biden toward women. “I’ve been very candid about this in the past — my closest friend in this field of candidates has been someone I’ve known for 40 years. And that’s former Vice President Biden,” Jones said during the interview. Jones defended Biden despite having voted against the confirmation of Justice Brett Kavanaugh last year on the grounds that it would send a negative message on sexual harassment, even as allegations against Kavanaugh weren’t corroborated. — U.S. Sen. Doug Jones, D-Ala.
“I won’t use the term ‘innocent’ because that’s probably not appropriate, but I don’t think Joe Biden ever had the kind of intention you had that in a harassing kind of way or an assaulting kind of way,” he continued. But Jones’ tone seemed entirely different during last year’s hearings on Kavanaugh’s nomination to the Supreme Court, during which several women alleged sexual misconduct against Kavanaugh. “Oh, absolutely, I think a lot of things, I mean, I think, you know, President Obama this weekend in Berlin at the Obama Foundation was talking about Democrats having a circular firing squad over things that are important but not something that can win the election. “I think that we have to not be so rigid, I think we have to not be so judgmental on every issue that comes up but I think we will do that,” he added. Sen. John Cornyn, R-Texas‘s campaign and actor Patton Oswalt got into a heated back-and-forth on Monday after Cornyn’s team reposted a string of “offensive” tweets by the 50-year-old. Oswalt made a brief appearance in a Tuesday video that announced the senatorial bid of Democrat Mary Jennings “MJ” Hegar, a former Air Force helicopter pilot. “Hollywood Hegar supporter and video guest star, Patton Oswalt, has tweeted some offensive comments over the years, reply A or B to let us know which one is more offensive to you,” read one of the tweets from Team Cornyn. The post included a screengrab of Oswalt’s old tweets. Within hours the tweet received nearly 9,000 comments but only 450 likes. Twitter users mocked Cornyn for his perceived prudishness. Others accused him of hypocrisy for not calling out President Trump for including the “S-word” in a Friday tweet. Scott tweeted out a clip of his appearance on CNN’s “State of the Union” Sunday, when he spoke about the relief bill. “To me this is all politics. This is Chuck Schumer saying that he cares more about Puerto Rico than President Trump does. 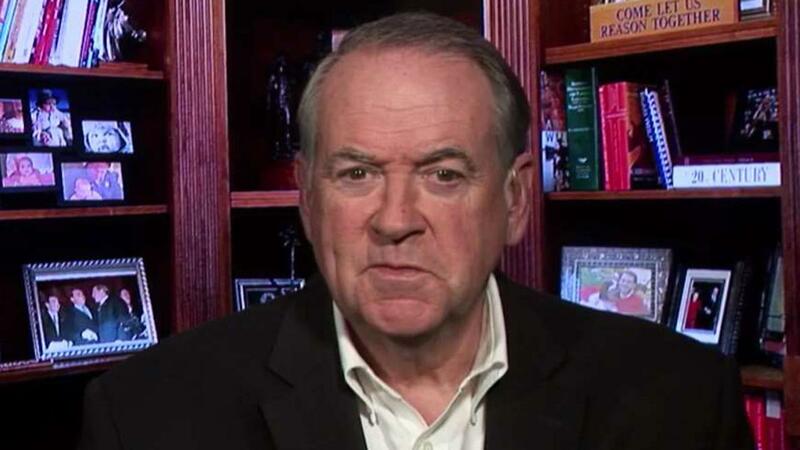 I think we should have passed the bill that Sen. Shelby had done,” Scott told “State of the Union” host Jake Tapper. Scott met with Trump at the White House Thursday along with Senate Appropriations Committee Chairman Richard Shelby, R-Ala., and Sen. Deb Fischer, R-Neb., to discuss a possible deal with the commander-in-chief on relief to Puerto Rico. Trump is feuding with the island’s Democratic officials and reportedly railed against aid to Puerto Rico at a closed-door lunch with Senate Republicans last month. 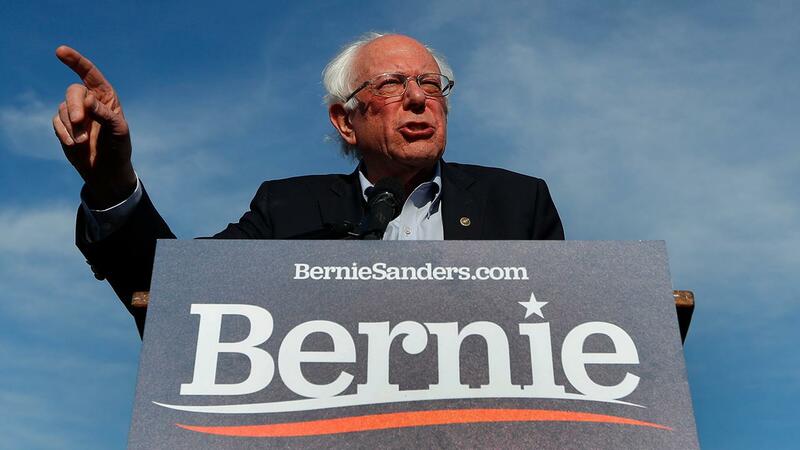 Sen. Bernie Sanders, I-Vt., is scheduled to sit down with Fox News’ Bret Baier and Martha MacCallum on Monday night at a town hall in Bethlehem, Pennsylvania. 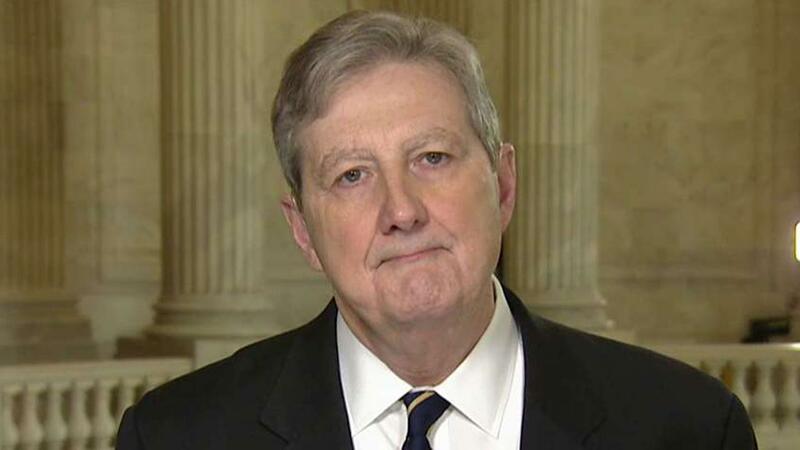 Congressional Democrats who are calling into question the credibility of U.S. Attorney General Bill Barr in wake of the release of the Mueller report should leave him alone and “let him do his job,” Sen. John Kennedy said. Barr is under scrutiny from congressional Democrats as he prepares a redacted version of Mueller’s report on the Russia investigation. Mueller concluded his investigation last month and submitted a nearly 400-page confidential report to Barr. 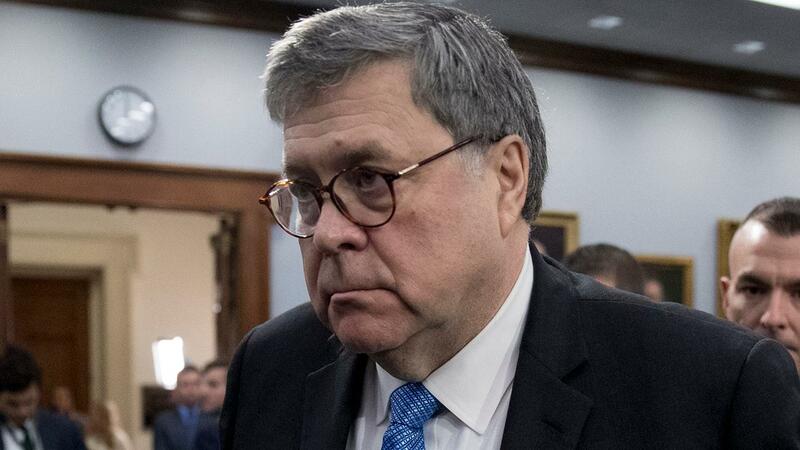 The attorney general then sent Congress a four-page letter that detailed Mueller’s “principal conclusions.” Democrats have questioned how Barr could boil down Mueller’s full report so quickly and allege that it may have been written in a favorable way for the president. Former deputy independent counsel Sol Wisenberg on Thursday defended Attorney General Bill Barr’s Capitol Hill comments that federal authorities had spied on the Trump campaign in 2016. Wisenberg added that Barr, who is facing accusations by Democrats that he is not acting “in the best interest of the DOJ or the country,” is merely doing his job. “Bill Barr is all about restoring the integrity of the Department of Justice and that’s part of it – to see if anything that was done was wrong,” he said. There has been mounting evidence that the FBI looked into ways to gather intelligence from within the Trump campaign, including pursuing warrants to surveil a former Trump aide in 2016. A caravan-size influx of migrants is flooding across the border each week in just a single sector, a top Border Patrol official told lawmakers Tuesday — the latest indicator of the growing migration crisis on the southern border. Karisch said his sector has apprehended people from 50 different countries, including China, Bangladesh, Turkey, Egypt and Romania. “People are traveling across hemispheres to attempt to illegally enter the U.S., using the same pathways as the Central Americans,” he said. Karisch noted that Border Patrol has apprehended more families illegally crossing the border in the first five months of fiscal 2019 than during all of fiscal 2018. Customs and Border Protection (CBP) apprehended more than 76,000 migrants across the border in February and said it was on track to apprehend more than 100,000 in March. In the Rio Grande Valley alone, Karisch said that at current pace, they would have more than 260,000 apprehensions in his sector alone by the end of fiscal 2019. There were 162,000 in RGV last year. He also said that his agents apprehend, on average, 1,000 people a day. 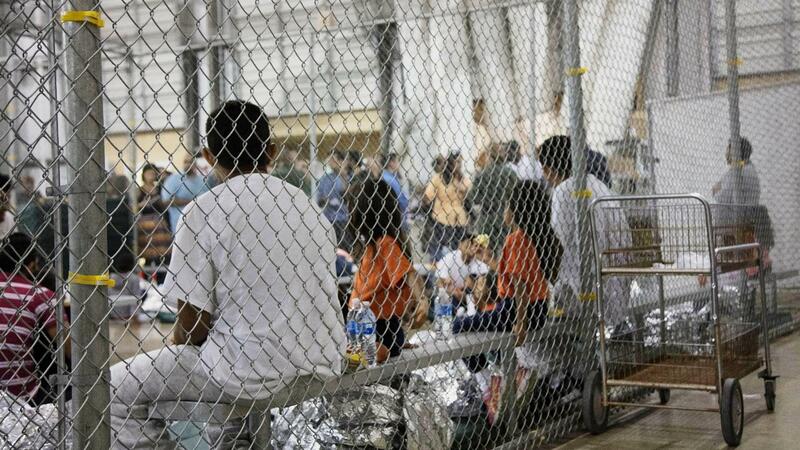 Karisch’s testimony is the latest warning from officials that there is an escalating crisis at the border. President Trump, who declared a national emergency at the border in February, traveled to the border on Friday and repeated his warnings that he is prepared to close the border if Congress and Mexico do not act to close loopholes and stop migrant flows — though he has indicated such an action is not imminent. The Wall Street Journal reported Monday that Trump recently told White House adviser Stephen Miller, one of the White House’s hardliners on immigration, that “you’re in charge” of immigration policy. A former House Democratic staffer pleaded guilty Friday to five federal offenses related to posting online the personal information of five Republican senators, including Senate Majority Leader Mitch McConnell of Kentucky, during hearings for then-Supreme Court nominee Brett Kavanaugh. The charges against Jackson A. Cosko, 27, include making public restricted personal information, computer fraud, witness tampering and obstruction of justice. In addition to McConnell’s information, Cosko posted the home addresses and phone numbers of GOP Sens. Lindsey Graham of South Carolina, Mike Lee of Utah and Rand Paul of Kentucky — as well as then-Sen. Orrin Hatch of Utah. Cosko reportedly became angry about the senators’ support for Kavanaugh despite sexual assault allegations that President Trump’s nominee was facing during the hearings. Cosko intended to intimidate the senators and their families, according to court records. Kavanaugh’s nomination was ultimately confirmed. At the time of his arrest, Cosko was working as an unpaid intern for Rep. Sheila Jackson Lee, D-Texas, who fired him soon after. He was previously employed as a computer systems administrator in the office of Sen. Maggie Hassan, D-N.H., a job that gave him “intimate knowledge of, and broad access to” the computer systems in Hasan’s office, according to court records. But he had been fired from Hassan’s office in May 2018 for failing to follow office procedures. After the firing from Hassan’s office, Cosko became angry and repeatedly burglarized the office without being detected, court records said. He copied gigabytes-worth of data, including dozens of user names and passwords belonging to Senate employees and “contact information for numerous sitting U.S. senators,” according to court records. Cosko was arrested Oct. 3, 2018, one day after a staffer discovered him working on a computer in Hassan’s office, where Cosko was not authorized to be. Records show Cosko sent a threatening email to the staffer the evening he was confronted. He is scheduled to be sentenced in Washington on June 13. He could face between two and five years in prison. Cosko previously held positions with other prominent Democrats, including former Sen. Barbara Boxer of California and the office of Sen. Dianne Feinstein, also of California and the ranking member of the Senate Judiciary Committee. Fox News’ Samuel Chamberlain and the Associated Press contributed to this report. Senate Republicans used a procedural maneuver on Wednesday to effectively prevent Democrats from using delaying tactics to stall votes on President Trump’s nominees to federal district courts and the executive branch, as the White House continues its push to transform the judiciary. Under rules in place prior to Wednesday, any senator could force 30 hours of debate on a nominee, even after the Senate has voted to halt a filibuster and move forward with a vote on the nominee’s confirmation. The GOP’s move Wednesday restored a precedent that had been in place during the first few years of President Barack Obama’s second term, and limited that debate time to just two hours. Cabinet secretaries, Supreme Court nominations, and appeals court judges are exempted from the new precedent, which will continue indefinitely. Senate Majority Leader Mitch McConnell, R-Ky., accomplished the change by making a point of order, which was upheld by a 51-48 vote. The change in precedent is not technically a formal change in Senate rules, which would require a 67-vote threshold to end a filibuster. All Senate Democrats voted to reject McConnell’s precedent change, with GOP Sens. Mike Lee and Susan Collins joining them. McConnell said the situation had gotten out of hand, with the Senate taking 128 votes to end debate on Trump’s nominees during his first two years in office, far more than under other presidents. The move comes as the White House has also sought to speed up the process of installing conservative judges. Trump has aggressively nominated — and Senate Republicans have confirmed — several judges to the left-leaning 9th Circuit Court of Appeals without first obtaining the approval of the judge’s home-state senators. “The Senate’s advice and consent power is not supposed to be used to slow-walk all of a president’s nominees simply because one party doesn’t like the president who is doing the nominating,” said South Dakota Sen. John Thune, the second-ranking Republican. 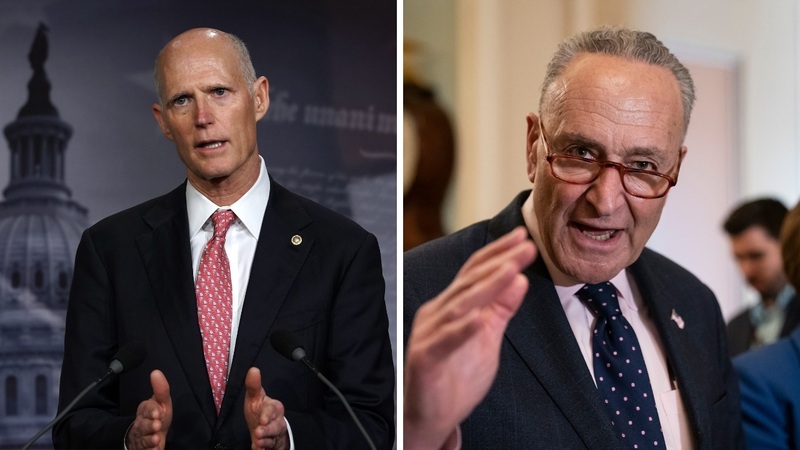 The point of order votes came following the votes to end debate on the nominations of Jeffrey Kessler for Assistant Secretary of Commerce and Roy Altman for a judgeship on the Southern District of Florida. — Senate Majority Leader Mitch McConnell, R-Ky.
Former Democratic Majority Leader Harry Reid of Nevada used the same approach in 2013 to lower the filibuster threshold on most nominations to a simple majority when faced with what Democrats said was GOP obstructionism. Republicans said at the time that Reid and Democrats would come to regret that rules change, which has given Trump largely free rein to fill numerous judicial vacancies that have piled up over the years. Many Democrats, who benefited from prior rules changes under Obama, are protesting now. They say the GOP move would enable Trump and future presidents, so long as their party controls the Senate, to run roughshod over the Senate. They say the hurdles required to win confirmation should be difficult as a way to ensure nominees are ethical, qualified and responsive to requests by senators for information. But other Democrats, McConnell said, indicated behind the scenes that they could support the rules change provided that it wouldn’t take effect until the next administration. Democrats also say that GOP complaints over their tactics now ring hollow after the obstructionism Obama experienced over his two terms. Merrick Garland, a federal appeals court judge nominated to the Supreme Court by Obama, failed to get a Senate hearing, and Republicans stalled numerous other Obama judicial nominees — both when the GOP was in the minority and then after retaking the Senate in 2015. Armed with the White House and control of the Senate, Trump is now confirming both district and appeals court judges at a dizzying pace and is positioned to reshape the federal judiciary even if he fails to win a second term.